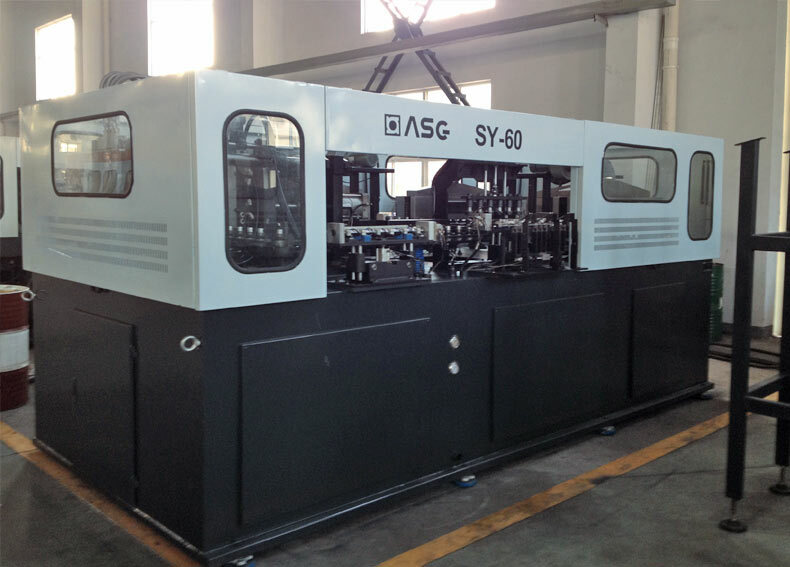 SY60 type Linear bottle blowing machine is mainly used for all kinds of plastic bottle pre-form stretching. Far-infrared lamps are heat source, through servo motor driving chain to make pre-forms turning around for heating. Then performs go into cavities and blowing into bottle by high pressure gas. PET bottle blowing machine parts should be smoothly running、 action coordinated、precise mould closing、sensitive reaction and clear and accurate Instructions. And these parts can cooperate with mould into qualified products. Adopting touch screen operation and running state is clear. 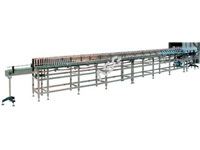 Equipped with full automatically perform sorter and elevator. Main electrical components (touch screen, etc) adopts famous-brand products, power cylinder mainly adopts FESTO, SMC, PAKEL etc assuring its stability and durable. 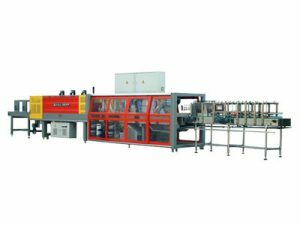 PET bottle blowing machine is composed of elevator、sorter、inlet bottle institution 、chain conveying institution 、heating device、mould stretching and closing instruction、 outlet bottle institution、electric control system、pneumatic system、frame and air window ,etc. 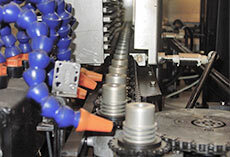 Motor drives baffle belt moves so that it raising the performs into perform sorter. This type elevator has improved much than old one, and also working efficiency has big improvement. It adopts double rows conveying. The sorter puts the unsystematic performs into order and prepares for next working step. There are two rollers, driven by motor and the per-forms are turning up and down until orderly ranged. 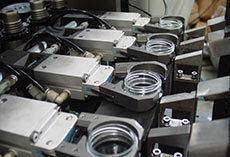 Inlet pre-form part is inlet bottle institution. 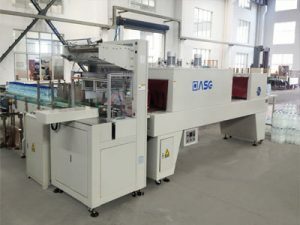 Bottle pre-form goes through raising machine 、sorter machine and conveyed to blowing machine orderly. 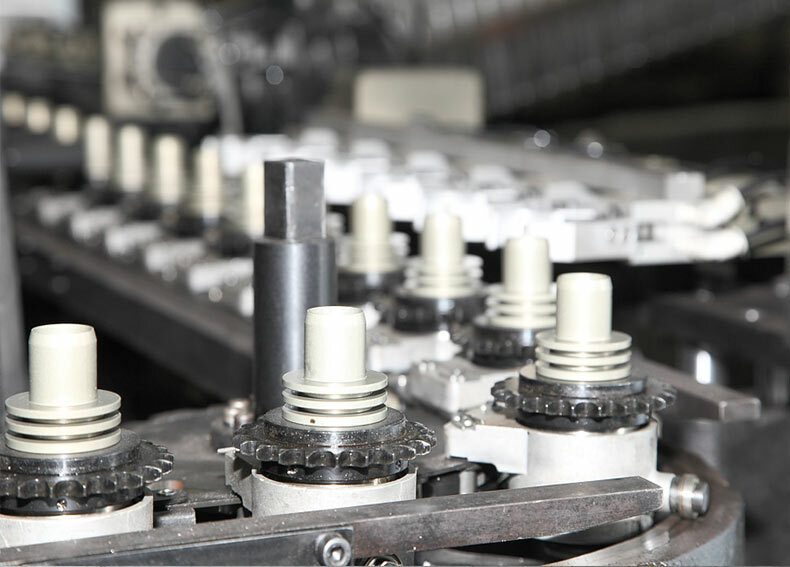 Turning cylinder sends the pre-form directly to the position of the conveying chain. Left short travel cylinder controlling the clip mouth open and close and right turning cylinder controlling the clip turn. There are many waist holes in every installation part for adjustment. 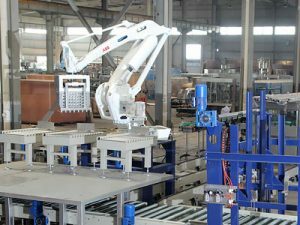 There were two conveying lines driven by two independent motor, a servo motor driving big chain to make PET bottle blowing frame be revolution, passed inlet perform part、heating parts、 mould stretching and closing institution and outlet bottle part. Another one is that the small chain driving bottle blowing frame self-rotating so that pre-form uniformed heated. Heating device is pipe type Infrared lamps, heating by Infrared with special radiation output. But for reasonable heating, it’s necessary to adjust heating device height and the distance between heating device with conveying line. 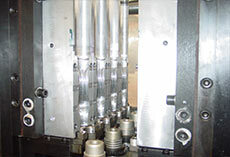 This part is pivotal for linear bottle blowing machine. 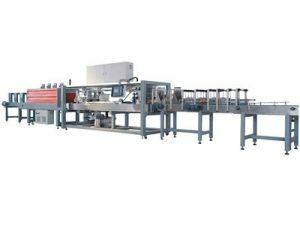 Heated performs get here and there are 3 cylinder working one after another, finished closing mould, performs become bottle shape at the action of high pressure gas. There is water cooling system in the mould institution so that it can reduce the deformation because of uneven heating. The mould can be changed for different shape bottles. Extension rods has the function of stretching, it has effect on bottle quality. And relay stop device is responsible for position and protection. 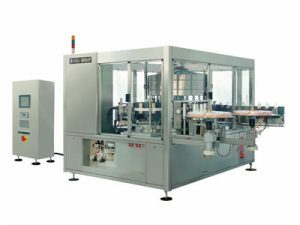 Linear bottle blowing machine’s the same with inlet bottle institution. It’s outlet bottle device. Equipping with the same amount of MC nylon clips with cavities. Three groups, to any mould, the center position are all the same, adjusting when necessary. There is a place designed on the machine for getting out conveying chain, according to the new products of different shape and may need to adjust the height of removing guide, conveyor belt.